Redaktørene Jim Dean og Gordon Duff avslører hvorfor USA plutselig er så snille mot Syria. De samler krefter til å ta Iran. Flere nyheter nedenfor. If government service becoming a ticket for racketeering afterward? General Michael Flynn wants a deal, a “get out of jail free” card and has more to hide than anyone yet imagines. Flynn may well be able to avoid prosecution and a “deal” that will end the Trump presidency, according to our sources, if the game put in motion by Trump and key House leaders works, a deal that, in itself, constitutes both conspiracy and obstruction of justice, according to legal experts. Flynn’s testimony has nothing to do with Russia or the election. 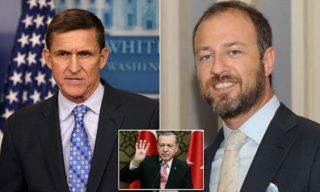 Flynn was lead in a White House deal with Turkey and other nations to allow rendition and assassination programs inside the US, not just against dissidents but American journalists and possibly political leaders including members of congress. This is why Trump is risking prison in a desperate attempt to silence Flynn, who is facing life in prison. Rep. Devin Nunes is working to, we are told, get Flynn before his committee, to discredit Flynn as a witness, getting contradictions on the record that could poison any possible prosecution and delay or derail the FBI’s ongoing investigation of the White House. President Trump’s cryptic tweet today, supposedly approving of Flynn’s request for immunity was a pre-arranged signal. Trump and Congressman Devin Nunes believe they can protect Flynn from prosecution by giving him broad immunity to “testify” at the rigged House hearings, immunity they are told will keep Flynn from the hand of the FBI. Sources tell us that Nunes is supporting an interpretation of legislative immunity that allows a congressional committee to essentially pardon crimes in return for what now looks to be silence. The second legal stage to this is a broadened version of “executive privilege,” one that can create an inter-locking network that will conceal not only deals cut with Russian mobsters but the deal also cut with Turkey to kidnap Muhammed Fethullah Gülen. This would establish a precedent that would enable foreign governments to operate rendition programs inside the US. 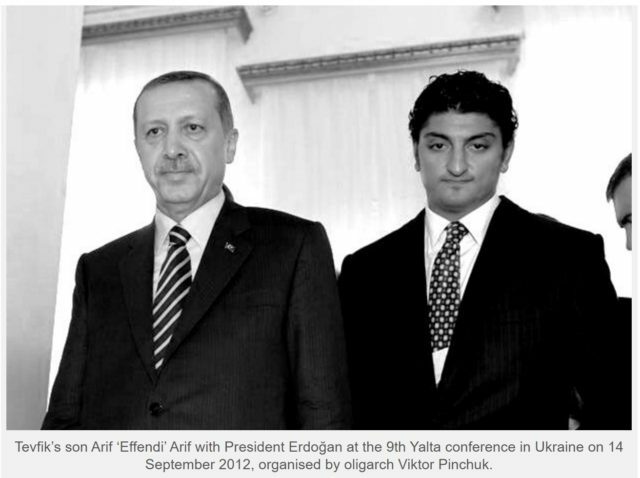 Veterans Today in a major investigation of financial interrelationships between Russian and Turkish “oligarchs,” really gangsters running the world’s largest criminal underground have identified many of those connected with Trump’s “rise from the ashes” after his financial collapse in the late 1980s as fronting for Turkey’s Erdogan family. VT has identified Erdogan himself as one of the biggest criminal forces in the world. How America Betrayed its Sunni Allies in Middle East? Brexit – But Not Quite Yet! Pence to Go before Trump: Nixon-Agnew/Watergate Déjà Vu? US Navy´s Newest Amphibious Assault Ship. Dead End Or Breakthrough? Turkey Ends Euphrates Shield Operation In Syria. What Now? Our World is Here. Where is Here? Everywhere! Mogilevich was born in 1946 in Kiev’s Podol neighborhood. 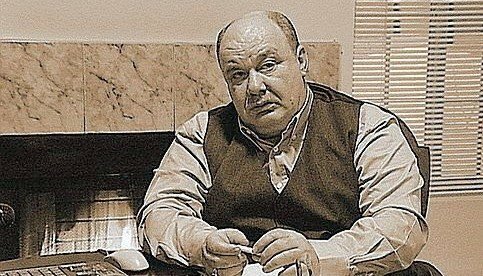 In 1968, at the age of 22, Mogilevich earned a degree in economics from Lviv University.In the early 1970s, Mogilevich became part of the Lyuberetskaya crime group in Moscow and was involved in petty theft and fraud. He served two terms, of 3 and 4 years, for currency-dealing offenses. 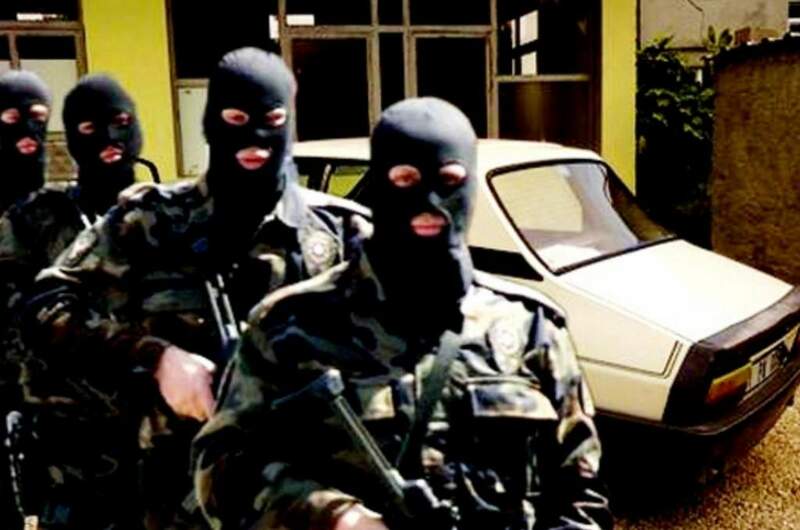 Alleged Russian organized crime boss, believed by European and United States federal law enforcement agencies to be the “boss of bosses” of most Russian Mafia syndicates in the world. Mogilevich’s nicknames include “Don Semyon” and “The Brainy Don” (because of his business acumen). According to US diplomatic cables, he is said to control RosUkrEnergo, a company actively involved in Russia–Ukraine gas disputes, and a partner of Raiffeisen Bank. Is Steve Bannon plotting another 9/11? Editor´s note: VT has evidence that Bahrain´s government has a standing agreement with a militarist cabal in the US to use terrorism against Americans, blamed on Iran, to bring about the conflict Trump and Netanyahu demand. We can prove it were there a government in the US. How the Conflict in Syria Benefits Washington´s Allies? Hallo, Trump. Har du heile den vide verden i di hule hånd? Men ka ska du og æ og vi aille gjør den dagen brønnen tørka ut? De veit, det kjem alltids en dag, førr oss aille. Men De antar vel at showet berre fortsætt på dein aindre sia? “Du har sparken, gud (uansett kæm du e eiller kailla dæ)!” Det må vær fantastisk å ha et sånt livssyn? Æ mein, det har sekkert en vældi go effekt på humøret å vær “Veiens konge”? Æ skjønn at det e kanskje greit å tenk over om man skal byinn å grav førr sæ sjøl, førr å spar Dem arbeidet? De som har kopirettigheita på aill verdens media? Og norsk media gjør storoppslag av at han Putin bad russiske bloggera om å registrer sæ… De vil ikkje engång nevn med ord ka De, Trump, gjør med dett stakkars folk. The orange muppet fondling the western wall of Fort Antonia. The Jewish claim that this is the wall of the second temple is a complete lie, as is their claim that the mount itself is one of the holiest sites in Judaism. In reality, the ruins said to be those of the second temple are over 1000 feet away from the mount. [ Editor´s Note: There has been no professional appraisal in Western media as to the efficiency and effectiveness of the relatively small Russian air contingent it has in Syria. Remember that Putin had downsized it after the “safe zone” deal was announced, as a de-escalating gesture. John McCain: Vladimir Putin is worse than ISIS! The US freed Libya. So why can´t I go there? NEO – Will Firing Comey Blow up in Trump´s face? Health Editor’s note: An elective surgery is one that can be scheduled at any time by the doctor, patient, or hospital. Examples of an elective surgery would be a face-lift or breast augmentation. The surgery is not being done for an emergency. A part of England has adopted the practice of not doing elective surgeries on patients who are obese or smoke. The health care programs in England offer free help with losing weight and cessation of smoking. The idea is that the patient will be in a more optimal condition to allow for successful surgery without complications that can be caused by obesity and smoking. Complications from surgery add days to hospital stays and increase healthcare costs. Do you think this is a good or bad idea? English county to bar patients from elective surgery unless they lose weight or stop smoking. 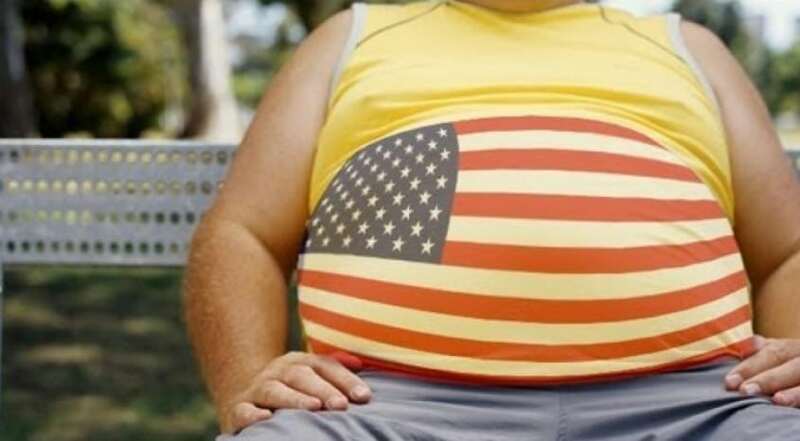 The committee that plans and oversees medical care for the county of Hertfordshire in England announced recently that unless obese patients lose a specified amount of weight and smokers quit smoking for at least 8 weeks, they will not be allowed to undergo elective surgery.